Okay, time for a little confession. We here at Paperform are data nerds. After all, we’re in the landing form business, and landing forms receive data. Because we love data so much (cue, “Why don’t you marry it?” joke), we decided to do a deep dive into the thousands of landing pages that have been created on the Paperform platform. We wanted to see what worked and what didn’t, as well as discover any surprises that might be buried deep in the numbers. Though we didn’t look at the specific info displayed on forms, or the content of results, we were able to narrow things down based on specific attributes, like whether forms accepted payments, etc. We only included forms that had been viewed at least ten times and had two or more questions. Out of the 7,193 forms we analyzed, 5,956 were single page forms. These had a completion rate of 62%. You would think that adding a second page to a form wouldn’t be a big deal, but it turns out that additional pages result in a significant dropoff. Adding a second page caused the completion rate to drop by more than 10%, down to 49.66%. At four pages, the completion rate falls to 48.32%, and more than five pages cause the completion rate to plummet to an abysmal 41.87%. These findings make sense on an intuitive level. The more work required to complete a landing page, the lower the overall conversion rate is going to be. Every additional field on a landing page creates more cognitive friction (i.e. it requires more mental energy), which then decreases the odds that a person will complete the form. Industry data backs this up as well. While there hasn’t been extensive research done regarding drop-off rates with multi-page forms (we’re breaking new ground here), there is significant research regarding the length of ecommerce checkout processes, which also involves multiple pages. In a study by The Baynard Institute, they found that 26% of users abandoned ecommerce transactions because the process was either too long or too complicated. Requiring shoppers to fill out too many fields resulted in them becoming frustrated or confused and abandoning the process altogether. 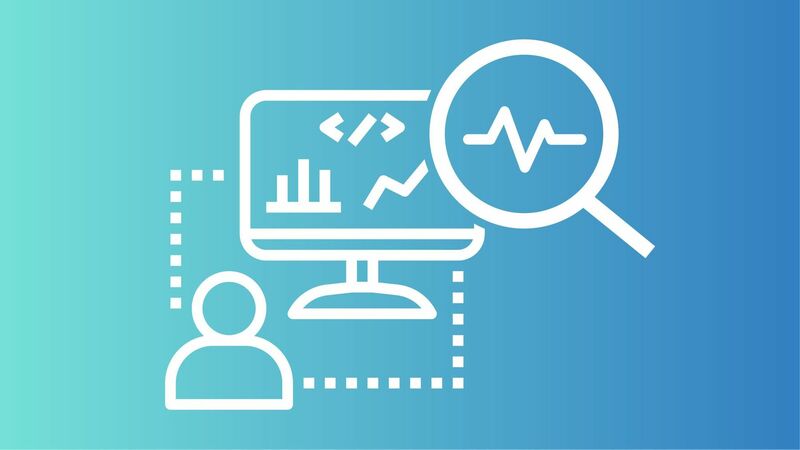 Experts generally agree that while pagination can be helpful in some contexts, it's strongly dependent on how the pagination is executed and how much cognitive friction it introduces. Many experts agree that poorly executed pagination that isn't designed specifically to improve UX can have a reverse effect on completion. Multiple studies of landing pages back up the assumption that more fields and pages can hurt the completion rate. The general consensus is that landing page forms should only ask for as much information as necessary. That last bit - “as necessary” - will change depending on the industry. In order to get higher quality leads, you may need to include more fields, but you shouldn’t add fields if they don’t serve that end. If you want to increase form conversions, you must consider reducing the number of fields. If you really need extra info, consider doing an a/b/c test where you compare all of your fields with the absolute minimum and a half-way version to determine which converts best – and then weigh it against the value of the extra data collected, and see how it will impact your post-click marketing. Bottom line: One-page landing pages result in more completions/conversions than multiple page forms. If you need more data, A/B test to determine the optimal length. Out of the 7,193 forms, 6,501 didn’t require payment. The average completion rate of those forms was 61.23%. 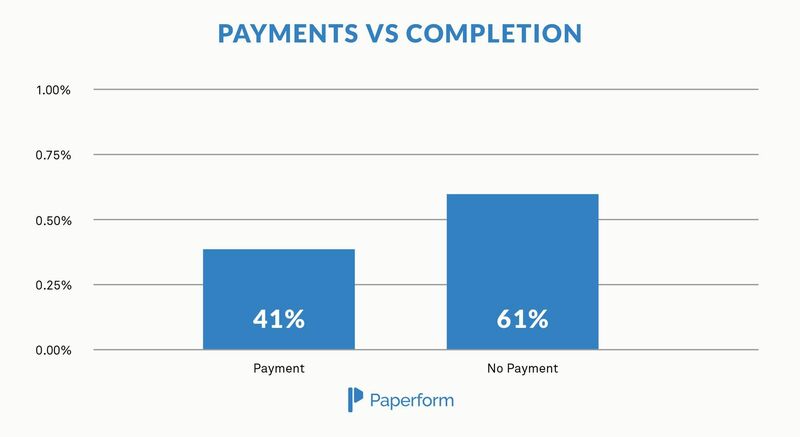 Of the 691 forms that did require payment, the average completion rate was 41.4%. In some ways, this is exactly what you would expect to find. Any time selling is involved, the conversion rate is going to be lower. People are generally more inclined to do things that don’t cost money. However, we suspect there may be more at work here than simple payment vs. non-payment. Unfortunately, many payment pages simply aren’t clear on the benefits of the product being sold. They get bogged down in the technical details of the product instead of focusing on how the product will actually benefit the customer. The result is a significantly lower conversion rate. When outdoor home security products company Kuna doubled down on clarifying the benefits of their products (through video demos and improved copy), they saw a whopping 89% conversion rate increase. When you go to checkout, you want to know that the products you’re purchasing are the ones you intended to. If a checkout page only includes the most basic information, it can cause customers to be concerned that they may have put the wrong items in their cart. Then they may abandon the cart altogether. When costume company Morphsuits changed their checkout page from plain text to include pictures and more product details, they saw their conversion rate increase by 37%. It’s one of the reasons we designed Paperform to handle rich content. With credit card hacks happening with frightening consistency, security is an enormous concern for anyone purchasing online. In fact, 17% of surveyed consumers who abandoned an eCommerce purchase did so due to payment security reasons. This represents low-hanging fruit when it comes to increasing conversions on payment pages. By using various “trust badges”, showing that both your site and payment gateways are secure, you can assure potential customers that their information is safe with you. When Blue Fountain Media added the Symantec SSL badge to their site, they saw a 42% increase in sales. Bottom line: Requiring payment can cause a decrease in conversion rate if you don’t take care. Avoid the decrease by implementing proven conversion rate optimization methods on product pages and during the checkout process. Of the 7,193 forms, 6,998 required an email address with a completion rate of 59.24%. The 194 that didn’t require an email address had a completion rate of 62.31%. 3,032 forms required a phone number and 4,160 didn’t. The completion rate for those requiring a phone number was 55.07%, while the completion rate for those not requiring a number was 62.43%. Both the email and phone statistics point to an issue that marketers are increasingly confronting: privacy really matters to people. With high-profile data breaches such as the Cambridge Analytica scandal at Facebook and the massive Equifax hack, people are increasingly concerned about giving out private information. They’re concerned that if they give you their phone number, you’re going to relentlessly harass them with spam calls, or if they provide their email address, they’re going to be inundated with emails from deported Saudi princes who need your help recovering their fortunes. Don’t require a phone number unless you absolutely need it. Be explicit about how you will be using the information you collect. Make it abundantly clear that you won’t ever sell anyone’s private information. Your goal is simple: assure visitors that you will use their information in a responsible and ethical way. Put their minds at ease that you won’t bombard them with spam calls or emails. Bottom Line: Only require as much contact information as absolutely necessary. Be absolutely clear about how you will be using that contact info. The one thing that unites all these findings is that generally speaking, less is more. In other words, the less you require from people, the greater the completion rates will be on your forms. Don’t add more than one page unless you absolutely need it. Don’t try to get people’s contact information unless you have to have it. Don’t go overboard on trying to sell the technical details of a product when you should be focusing on the benefits. You get the point. You’ll have the greatest success when you give visitors what they need, no more, no less. Now that you know what makes for a great form, it’s time to start building them. Try Paperform for free for 14 days - no CC required.